Within the transportation industry, a truck driving job is among the most serious of careers. Every time a driver gets behind the wheel they have the ability to affect the lives of all you share the road with; either for the good or the bad. Your actions behind the wheel have the power to give or take a life. Therefore, it is easy to understand that the penalties for violating federal regulations surrounding commercial driving carry heavy penalties. All of these penalties are avoidable, even the ones revolving around accidents. It is how a driver reacts to those accidents that result in penalties or not. If one is practicing safe driving they will not find themselves in a position to lose their trucking job due to a major accident or, even worse, a fatality. It is not to say that fatalities or major incidents will never occur as the result of an accident, it is whether or not a driver is the cause of an accident that will matter. Driving under the influence: It seems so simple, doesn’t it? I say you will lose your license if you drive while impaired and many drivers will respond, “who would ever do that?” And yet it is an occurrence that happens far too often. All too frequently, drivers think they are in complete control of their faculties when they get behind the wheel after having had a drink or two, or after having used a substance that would impair their ability to drive properly. While there may not be comprehensive statistics to pinpoint whether or not impaired driving is a daily, weekly, or monthly occurrence - but when it happens even once, many suggest that one instance is too often. In 2015, California state saw over 200,000 arrests for DUIs. Second behind the Golden State with over 90,00 DUIs was Texas. Operating under the influence is also known as DUI, OWI (operating while intoxicated), OVI (operating vehicle under the influence), DUII (driving under the influence of an intoxicant), DWI (driving while intoxicated), OWVI (operating a vehicle while visibly impaired). First convictions for the offense results in the driver’s CLP/CDL being revoked for a period of one year. This applies whether one is driving a CMV or non-CMV. First convictions for the offense while transporting HazMat cargo will result in the revocation of the driver’s CLP/CDL for a period of three years. Second convictions, no matter the cargo type, results in the lifetime revocation of the driver’s CDL. First convictions result in the revocation of the CDL for one year. 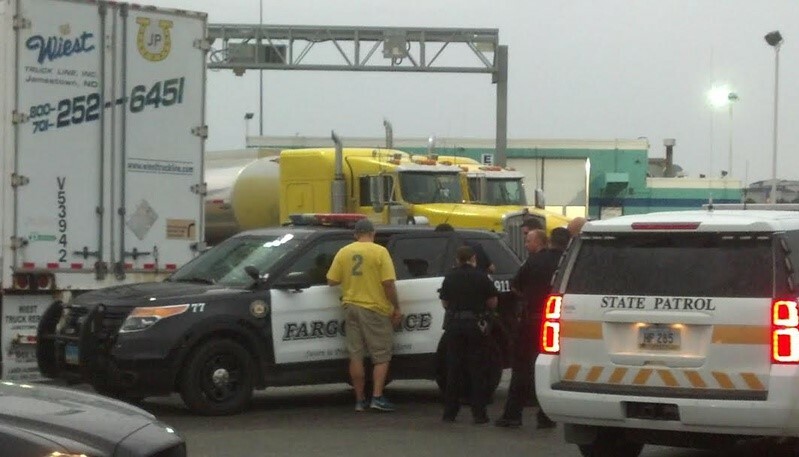 First convictions while transporting HazMat cargo results in a three year CDL revocation. A second conviction results in the lifetime revocation of the CDL. First convictions will result in a one-year CDL revocation. First convictions while transporting HazMat cargo will result in a three year CDL revocation. A second conviction, regardless of the cargo you transport, will result in a three year CDL revocation. When driving, an individual has much more freedom that many of their friends and family. They are working without direct supervision. Even though their manager can likely see where a trucker is at any given moment through GPS technology, they still cannot see what their employee is doing at every given moment. If they engage in any illegal activities (except for a felony involving the manufacture, distribution or dispensing of controlled substances) while operating a CMV one can expect to the above consequences to apply to their situation. Negligence - If you are in an accident, and through your own negligence you cause a fatality. Truckers can also expect the above revocations and allotments for convictions. One of the most severe penalties revolves around operating a CMV while engaging in a felony involving the manufacture, distribution or dispensing of controlled substances). The penalties are severe. For any conviction, no matter the cargo being transported, will result in a lifetime revocation- making a driver ineligible for a 10-year reinstatement. Speeding and Road Safety - Excessive speeding (that is driving over 15 m.p.h. above the posted truck speed limit) will result in your CDL being revoked for 60 days for a first and second conviction and 120 days for the third or subsequent conviction. Reckless driving also carries stiff penalties. Reckless driving may be defined by either local, state or federal law and is defined as the offense of driving a commercial motor vehicle in a willful or wanton disregard for the safety of others and/or their property. Convictions of said offense will result one’s CDL being revoked for 60 days for on the occurrence of the first and second conviction and 120 days for the third or any subsequent convictions. The same penalties as listed for negligent driving will occur for the convictions of improper or erratic lane changes, tailgating, and the violation of local or state law in motor vehicle traffic control that arise due to a fatal accident. If caught driving a CMV without the appropriate endorsement on your CDL, you will incur a penalty of 60 days CDL revocation for the first conviction and a 120 day CDL revocation for the third or subsequent revocation. 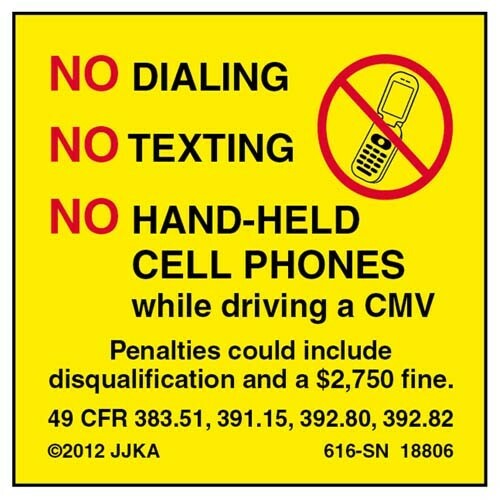 Texting – Texting and driving will cost you your license as well. In some areas, like Missouri, there many not be a stringent rule for non-commercial drivers over 21 who text, but commercial drivers should make no mistake – there are texting and driving consequences. The first conviction is a revocation of your license for 60 days. A third or subsequent conviction will result in a 120-day revocation of one's license. A first conviction will encure a CDL revocation for no less than 60 days. A second conviction results in a revocation of no less than 120 days. A third or subsequent conviction carries the penalty of a revocation of no less than one year. Avoid the issues that result in the loss of your trucker job by having the proper license to haul the cargo on your trailer. Practice safe driving skills. Put your cell phone down when driving. Be sober, every time you are behind the wheel. And last, but not least, do not engage in illegal activities. In no way is this information meant to insult any driver’s intelligence, it is only meant to help those on the road see how easy it is to retain their licenses. Drivers should know the basic ways to behave on the road to ensure the safety of themselves and the safety of others. It should come as no surprise that one who is operating a piece of heavy machinery needs to operate with the utmost level of integrity and diligence on the road. Even if one is behind the wheel thinks they are operating for their own well-being, it is their duty to consider the well-being of those around them as well. Your occupation is important to your family. It is important to your community. It is important to the average person. Without truckers, American lives life would be much more difficult. One can hardly imagine having to drive an hour to the nearest cargo port to pick up packages. Or having to put in and maintain a garden in order to have fresh vegetables. I could go on, but you get the point. Truck driving is truly the backbone of America. Without you, the rest of us are at a loss.